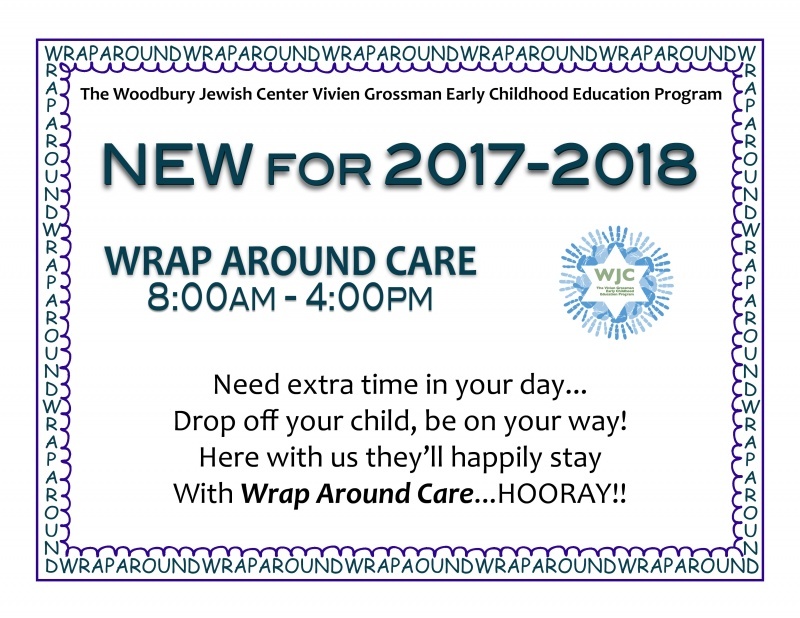 Welcome to the Woodbury Jewish Center Vivien Grossman Early Childhood Education Program! Our goal at Woodbury Jewish Center is to give families a gift that lasts a lifetime by providing a warm, loving, nurturing community where your children will develop and thrive. Since our school opened its doors in 1993, we have seen it grow to the full and vibrant school it is today; an enhanced and developmentally appropriate environment where children are encouraged to explore and develop their curiosity through play and challenging experiences. Our classes are taught by highly educated professionals who exceed state licensing requirements and are all certified in pediatric CPR and First Aid. Our teachers participate in ongoing professional development and work together in teams to provide quality experiences for all of the children. The most effective early childhood programs recognize and encourage parent participation and involvement in their children’s program. Communicating with parents through informal daily interactions as well as scheduled conferences provides the opportunity for meaningful parent/ child interactions and deeper partnerships between parents and staff. We are committed to teaching Jewish values, morals, customs and traditions providing the foundation for a lifelong love of Judaism and positive Jewish identity. 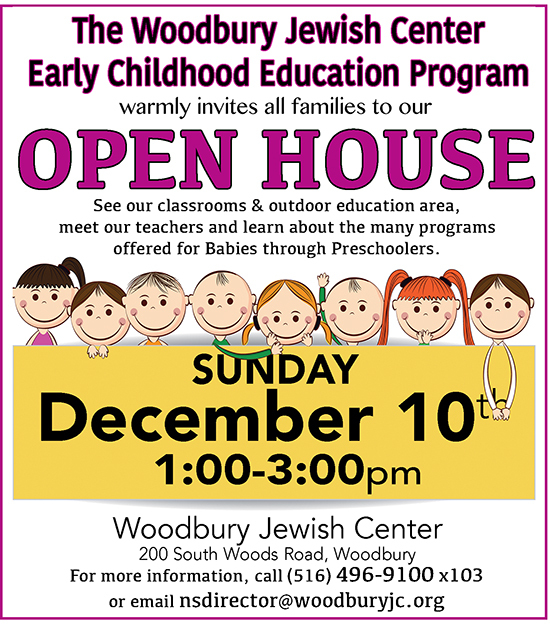 We are fortunate to be a part of the greater Woodbury Jewish Center community which brings the support of our Rabbi and Cantor, synagogue administrative staff, Religious Education Director, and the WJC Board of Trustees. The children learn about and celebrate Jewish holidays, values and customs, as well as being introduced to the Hebrew language. Shabbat is celebrated weekly and families have opportunities to celebrate with their children. 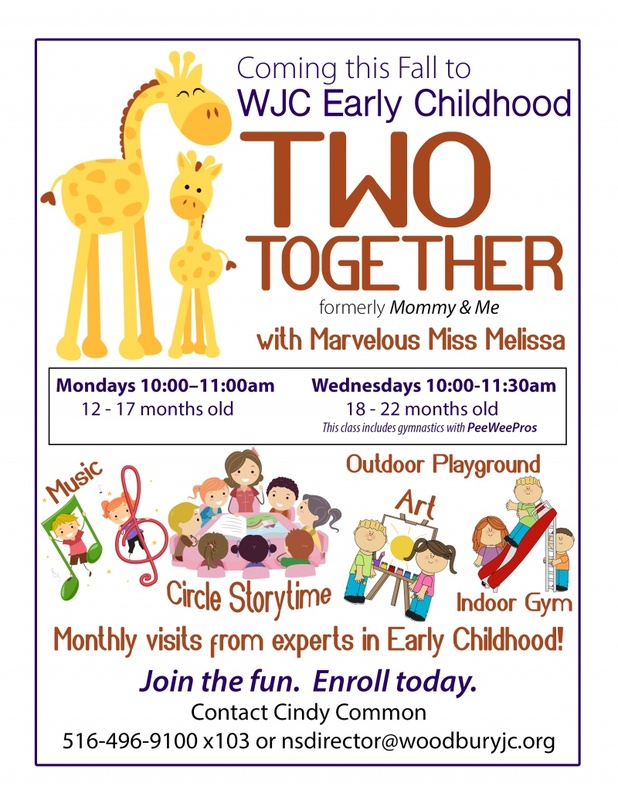 WJC’s play-based, developmental curriculum supports our philosophy and goals with emphasis on the “whole child”. Child centered learning activities are designed to match the developmental stages of each child. Daily activities are both experiential and intentional and provide a balance of quiet and active play and large and small muscle activities. There are options for both small and large group activities, and a balance of both child and teacher initiated activities. Weather permitting, children participate in daily outdoor play in our beautiful playground and outdoor learning environment and garden. In inclement weather, children play in our well-equipped indoor gym. Activities include art expression, music, literacy and writing readiness, math activities, science exploration, language development, movement, cooking, dramatic play, block building and manipulatives, gardening and nature, multiple sensory experiences, and Judaism. Each classroom is also able to enhance curriculum through iPad technology. Specials! Each week children experience music with music specialist, and visits from our Rabbi and Cantor. Special programs are presented during the year to enhance the children’s experiences. Pre-K classes attend several field trips during the year. We have a low child/teacher ratio and a staff of dedicated and loving educators with extensive early childhood backgrounds and sensitivity to the needs of young children and their families. Strong emphasis is placed on continuing education and professional development in order to continually improve our program and stay abreast in the latest research in early childhood education. This involves participation in professional on-site workshops, off-site seminars, and the benefit of professional resources from our participation in the Jewish Education Project. We are licensed by the New York State Office of Children and Family Services as a child care facility. 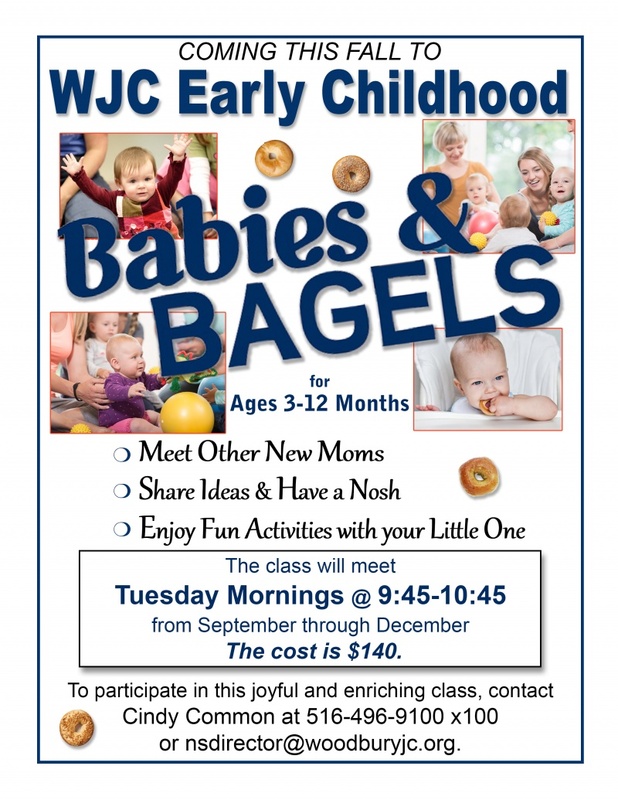 At WJC we have fun family programming throughout the year. Parents are informed weekly of classroom, school-wide, and synagogue activities including classroom curricula and events. Our school Director e-mails a weekly “Preschool Schmooze” and Parent/Teacher Conferences are held twice a year. Teachers e-mail photos daily sharing a “snapshot” of your child’s day at school through classroom iPads. LEAP Room: LEAP stands for Learning, Exploration, Adventure, and Play. Each class will rotate through the LEAP Room 2 to 3 times a week to engage in creative and enriching experiences that will enhance classroom curriculum. Registration for the following school year begins in December of the current year. A non-refundable registration fee and a non-refundable tuition deposit must be included with your application. The latter will be credited to your last two month’s tuition installment payment. All children currently enrolled in the early childhood program must register annually. Summer Camp at Woodbury Jewish Center! Is your child ready for a fun and nurturing camp experience before starting school in September? Then WJC Summer Camp is the place to be! We have a very low counselor-to-child ratio, lots of time spent outdoors in a shaded playground with a great climbing structure, lots of water play, a wonderful outdoor environment, and special programs!